For just a few more days, readers can save $809 on Apple's completely maxed out 11" MacBook Air (1.7GHz, 8GB, 512GB), which is up for grabs at $1,089 with free AppleCare and plus your choice of two free or heavily discounted accessories. Update: this deal will expire by July 10th. This limited time deal from AI and Apple Authorized Reseller Adorama offers Apple's mid-2014 11" MacBook Air (1.70GHz/8GB/512GB) model MF067LL/A with AppleCare for $1,089.00 with free shipping and no sales tax collected outside NY & NJ. That's $809 off the original MSRP for the MacBook with AppleCare, $359 off their current MSRP, and the lowest price we've ever seen for this bundle. To take advantage of this offer, follow the detailed steps below or use the links in this article (or our Price Guides) and apply promo code APINSIDER during checkout and then complete this $50 Rebate (issued in the form of a Amex pre-paid card) after your order ships. What's more, you'll also get to select two free accessories like a Microsoft Sculpt Bluetooth Comfort Mouse, LG Super Drive, and USB hub (or you can chose from heavily discounted accessories like a $39 WD My Passport Ultra 1TB Portable HDD). 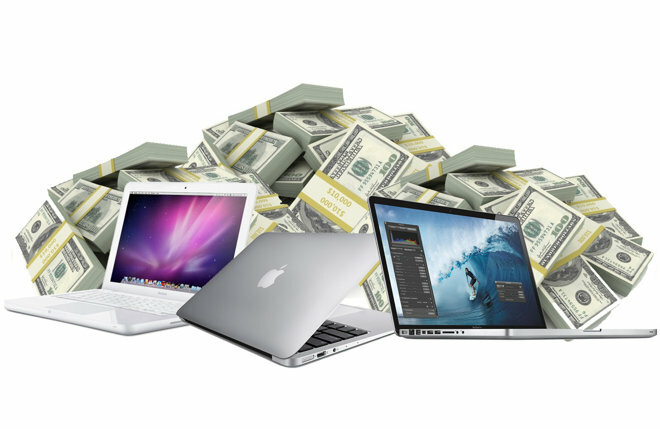 The price of the MacBook Air and its free & discounted items are subject to change at any time. Always check our Price Guides for the latest prices. You must first register & login to an Adorama VIP account before taking advantage of this offer. Full details and step-by-step instructions for securing these deals can be seen below. Please Note: the prices advertised in this deal are valid as of July 1st at press time, but are subject to change at any time, as are the free items included with the deal. For the latest prices, always make sure to double check our Price Guides. For readers who prefer the latest and greatest, this exclusive promotion from Adorama and AI offers savings of up to $219 on Apple's new 2015 MacBook Airs with 2 additional years of AppleCare protection. These discounts yield the absolutely lowest prices anywhere for these Macs paired with AppleCare. What's more, Adorama will only collect sales tax on online orders if they're shipped to NY or NJ. For residents of all other states, the prices you see below will be your final net price after coupons and rebates. Free shipping is also included with all orders. Step by step instructions on how to make sure you get the advertised price are included below. But the way the deal works is pretty simple. First, we teamed with Adorama to create special product bundles for each of the new MacBook Airs and MacBook Pros with AppleCare included. These bundles include instant discounts of $89 or more up front. Links to these bundles are available in our Mac+AppleCare Price Guide, as well as below. After you add one of these discounted bundles to your cart, you can then use promo code APINSIDER during checkout to knock another $60 off (for a total discount of $149+ so far). Once you complete your purchase, you can then complete this $50 AppleCare rebate to save another $50, for a total minimum savings of $199 or more. 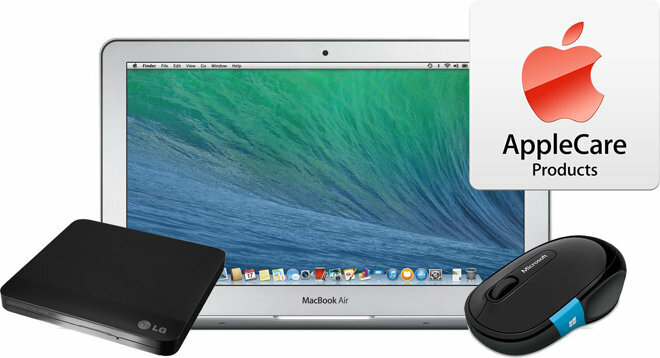 For customers who do not want AppleCare, the same APINSIDER promo code will knock $30 off Adorama's already reduced pricing and throw in a free LG portable Super Drive on the MacBooks themselves. To access these standalone MacBook links and apply the coupon, please see the Adorama listings inside our regular Mac Price Guide. 4) Once you're logged in, choose your desired MacBook Air from the list above (or via our Mac+AppleCare Price Guide) and click the associated pricing link. 5) Now add the MacBook Air + AppleCare bundle to your cart by clicking the green "ADD TO CART" button. 6) You can now keep shopping or begin the checkout process. 8) Once you submit your order, complete this rebate form to claim the final $50 in savings. The above are just a few examples of many ongoing exclusive offers from AppleInsider and Apple's top authorized resellers. See if there is a Mac, iPhone or iPad deal that will save you $100s by checking out for deals.appleinsider.com. Or find the lowest bare bone prices on all of Apple's products in our live Price Guides at for prices.appleinsider.com.